We are eminent provider of Industrial Gear Oil,which is used for all heavy duty enclosed gear drives with splash or circulation lubrication system. These are perfect for use in sliding surfaces, plain and roller bearing, sprockets, chain drives and flexible couplings employing circulation, splash or spray lubrication systems requiring EP type oils. We are into offering a quality approved array ofGear Oil. The Gear Oil we offer is highly demanded amongst the clients for its availability in various packaging. Moreover, these products are suitable for various applications. 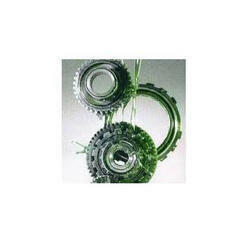 PAO synthetic based fluids for enclosed gear systems requiring ashless antioxidants, antiwear and mild EP additive systems. These oils have been designed to provide satisfactory lubrication under hydrodynamic and mild boundary lubrication conditions. These are recommended for gear systems where moderate loads and high temperatures are expected including worm gears containing soft metals such as bronze, brass and copper. Our product is renowned for its high viscosity index, excellent anti-wear and anti-oxidant properties. 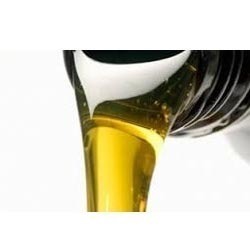 Our manufactured Automotive Gear Oil is widely applicable in gears of cars, trucks, business requiring EP type lubrication. We pat special attention towards quality packaging material so that it is free from any kind of contamination.